The best-laid philanthropic plans sometimes go astray. Priorities can change, or assumptions can prove to be wrong. This series of Professional Notes will address what can happen when a charitable gift plan needs to be changed. This column will consider early termination of a charitable remainder trust, an otherwise irrevocable charitable giving vehicle. ongoing exemption from tax of the CRT’s ordinary income and gain, except to the extent it is either classified as unrelated business taxable income (e.g., because it is debt-financed) or distributed to the income beneficiary. In each case, when the income interest of a CRT terminates, usually due to the death of the income beneficiary or the passage of a stated term of years, the remainder interest passes to one or more qualifying charities. For tax purposes, each interest—income and remainder—is assigned an actuarial value when the trust is created (based on the payout rate and certain assumptions about the time value of money). But the value of each interest in a CRT keeps changing as time passes: the income interest decreases in value and the remainder interest increases in value as the trust draws closer to its scheduled date of termination. Within the CRUT form, there are further permutations, all under the rubric of “income-exception CRTs.” The first of these is the net income charitable remainder unitrust (NICRUT), which provides for an annual payment equal to the lesser of the unitrust amount or actual income (using fiduciary accounting income as determined under local law). The net income unitrust often is drafted to provide for a “make-up” provision (NIMCRUT), so that if trust income is lower than the fixed percentage in one or more years and is higher in a subsequent year, the shortfall may be paid to the beneficiary at the later time. A third form of CRUT, a “Flip CRUT,” starts out as a NICRUT or NIMCRUT, but “flips” into being a “standard” unitrust upon a pre-defined triggering event (e.g., the passage of date certain or the sale of illiquid asset with which the trust was funded). It is the ability of a Flip CRUT to accommodate the gift of an illiquid asset (such as art or real estate or interests in a closely-held business) that makes it appealing for the donor who needs flexibility while sale of the donated property is effectuated, but then wants the certainty of a reliable stream of payments after the sale occurs and it becomes possible to invest in income-producing (and ordinarily more diversified) assets. All three of these vehicles—NICRUTs, NIMCRUTs, and Flip CRUTs—can be appealing to an individual who earns substantial current income and wants a pool of capital assets to grow inside a trust on a tax-exempt basis (similar to an individual retirement account) until the individual retires or otherwise needs income from the trust. Although some CRT governing instruments specify a particular remainder beneficiary, many of them preserve the grantor’s flexibility, giving him or her a power to appoint the charitable remainder to one or more qualifying charitable organizations. As the discussion below demonstrates, the selection of a specific charitable remainder beneficiary is necessary in order to effectuate an early termination of a CRT—and it can be highly desirable that the remainder beneficiary be a public charity, such as a community foundation, in order to avoid some of the complications that can result if the remainder beneficiary is a private foundation. The term of a CRT must be either a fixed period of years (not to exceed 20) or the lifetime of the income beneficiary. The annual payout rate of a CRUT must be at least five percent and may not exceed 50 percent. The present value of charity’s remainder interest must be at least 10 percent of the fair market value of trust assets, measured when the trust is created. The trust may not be a grantor trust. Like private foundations, CRTs are subject to the excise tax on certain statutorily defined “acts of self-dealing” within the meaning of IRC Section 4941(d). This tax is at rates (10 percent per year of the amount involved plus 200 percent if the act of self-dealing is not timely corrected) designed to be sufficiently onerous to function as a virtual prohibition on acts of self-dealing. Transactions that would be self-dealing include a sale of CRT assets to the grantor of the trust or the use of CRT assets by the grantor. The grantor is referred to for these purposes as a “disqualified person.” Family members of the grantor and family trusts and companies may also be “disqualified persons.” The main tax burden for an act of self-dealing is imposed on the grantor or other disqualified persons, although the trustee of the CRT may also be subject to an excise tax if the trustee approves an act of self-dealing knowingly and without reasonable cause. The tax on the trustee is five percent of the amount involved, capped at $20,000, plus 50 percent if the trustee does not agree to a timely correction, also capped at $20,000. Avoiding the self-dealing tax is one of the “holy grails” of CRT administration, and it remains important (as demonstrated below) even when there is an early termination. 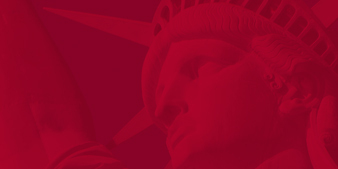 For a New York CRT, there is a requirement to provide the Attorney General with notice and an accounting when charity’s interest in a CRT comes due, in whole or in part. Although practitioners may ordinarily think of the CRT notice and accounting rules only when a CRT terminates pursuant to its original terms (e.g., on the death of the income beneficiary), the rules also apply when there is an early termination, even a partial one. See 13 NYCRR Section 92.3; NYS Form CHAR001-RT (Registration Statement for Charitable Remainder Trusts with Notice of Termination of Intervening Trust Interest) available at charitiesnys. com/pdfs/CHAR001-RT.pdf; (instructions available at charitiesnys.com/pdfs/ CHAR001-RTi.pdf). the grantor favors a different investment style than is feasible within a CRT and concludes he or she will be better off despite the tax costs of exiting a CRT. Sometimes, beneficiaries prefer to effect only a partial early termination—for example, if there is a desire to preserve part of the income beneficiary’s annuity or income interest, but not all of it. Although in 2008 the IRS essentially stopped issuing private letter rulings (PLRs) about early CRT terminations, there is a long list of PLRs that lay out certain issues in making sure an early termination avoids adverse tax consequences. Because the tax issues can be subtle, and a bit obscure in some cases, it is important for practitioners to familiarize themselves with these rulings to make sure an early termination falls squarely within the rules. Although CRTs are mainly thought of as creatures of Federal tax law, they are nonetheless established pursuant to state trust law. And a threshold consideration, before any CRT can be terminated early, is whether, as a matter of state law, early termination of the trust is permitted in the first place. In a state such as New York, with a statutory “spendthrift trust” rule, a trust beneficiary may not be permitted to assign his, her or its interest in the trust (e.g., by agreeing to an early termination) unless the governing instrument varies the default spendthrift rule or a state law remedy such as judicial reformation is available to obtain a modification. A testamentary CRT, therefore, generally may not be terminated early, unless state law permits the assignment of trust interests. Similarly, if an individual created a CRT for the lifetime benefit of herself and her spouse, then later dies, the surviving spouse’s ability to agree to an early termination may be constrained unless the trust instrument specifically authorizes early termination. Even in a state that contains no statutory spendthrift protections, the trust instrument itself may bar the beneficiaries from assigning their interests without the grantor’s consent. The IRS does not recognize purported early terminations that violate state law or the terms of the trust. Donating all or an undivided fractional portion of the income interest to the charitable remainder beneficiary. This option is the one selected by an income beneficiary who simply has no further need of all or some portion of the income from a CRT. If the CRT remainder beneficiary has not been appointed, it will be necessary for the power of appointment to be exercised irrevocably. If the beneficiary relinquishes his or her entire income interest, the income and remainder interests merge if state law so provides, and the CRT terminates early. If instead he or she relinquishes only a portion of the income interest, the corresponding portion of the trust terminates early, and the balance of the property remains in the CRT. If there are multiple income beneficiaries, all of them must consent to the early termination. For a NICRUT or a NIMCRUT, or a Flip CRUT before the “flip” has occurred, IRS rulings suggest that the IRS may assert the assumed value of the income interest must be based on the lesser of (i) the applicable IRC Section 7520 rate in the month when the early termination (or partial termination) occurs and (ii) the unitrust percentage stated in the trust instrument. Commentators have questioned the logic of this, given that the charitable deduction upon creation of an income-exception CRT is based on the unitrust percentage in the governing instrument. If a practitioner anticipates that an income-exception CRT will be the subject of an early termination, whether by way of a charitable gift or a “cashing in” (see below), consideration might be given to structuring it as a Flip CRUT and funding it with a small “unmarketable” (basically meaning non-publicly traded) position whose liquidation will trigger the “flip,” with the early termination deferred until the trust has “flipped” and become a regular CRUT. For the income beneficiary who has held his or her income interest for more than one year, the income interest should be treated as a long-term capital asset for tax purposes, and the donor ordinarily should be able to claim a charitable deduction for the fair market value of the relinquished interest. The gift of an income interest in a CRT is likely to be more appealing if the remainder beneficiary is a public charity or a private operating foundation. If the charity that is the remainder beneficiary (i.e., the donee of the income interest) is a private non-operating foundation, the donor’s deduction will be limited to the cost basis allocable to his or her income interest, because the gift of an income interest, even if has been held more than a year and is a long-term capital asset, is not a gift of “qualified appreciated stock” (generally speaking, the only type of gift to a private non-operating foundation for which a fair market value deduction is allowed). The value of a life income interest may be based on IRS table rates only if it can be substantiated that the donor has no medical condition that would shorten his or her life expectancy. Various rulings show the type of evidence that the IRS has been willing to accept concerning the health of an income beneficiary involved in early termination of a CRT. Finally, the donor of an income interest in a CRT who is claiming a deduction based on the fair market value of the income interest ordinarily will need to obtain a qualified appraisal of the value of the donated income interest. “Cashing in” all or a portion of the income interest. More commonly, a CRT income beneficiary does not feel he or she can afford to give away his or her interest in the CRT. In that case, the individual may wish to have the value of the income interest returned. The assets would be divided between the income beneficiary and the charitable remainder beneficiary (once it has been named irrevocably) based on an actuarial calculation taking into consideration the likely term of the CRT and its stated payout rate. The division would need to be pro rata in the case of “in-kind” distributions. The IRS regards this terminating distribution as a sale of the income beneficiary’s interest to the remainder beneficiary. Because the income interest is treated as having a zero basis for tax purposes, the full amount received by the income beneficiary is treated as capital gain—long-term gain if the CRT is more than a year old. If tax rules had characterized the termination as a sale of the remainder to the income beneficiary, or a simultaneous sale of both income and remainder interests, there would have been a very different outcome; the income beneficiary would have been able to allocate basis to the sale, which would have lowered the individual beneficiary’s tax cost for engaging in the transaction. A key planning consideration is whether the income beneficiary will be better off with an after-tax lump sum amount to reinvest or simply with continuing the status quo receipt of a unitrust or annuity stream that will be wholly or in part taxable, depending on the nature of expected investing within the CRT. Selling to an unrelated third party. The income beneficiary and the charitable remainder beneficiary of a CRT may agree to sell all or some portion of their respective interests to an unrelated third party. This may be a means for both interest holders in the CRT to earn cash while freeing themselves of the CRT structure— assuming, again, that the CRT is terminable under state law. Recently, due to concerns that the interplay of IRC Sections 1001(e)(1) and 1001(e)(3) had created a loophole that enabled the income beneficiary to generate an artificial reduction in his or her capital gain upon sale of the income interest, the IRS issued Proposed Regulations to stop the perceived abuse. Under the Proposed Regulations (which are applicable to sales and other dispositions occurring on or after January 16, 2014), the income beneficiary must treat as his or her basis the adjusted uniform basis assignable to his or her income interest (broadly speaking, his or her pro rata share of the CRT’s basis in the assets held at the time of termination), reduced by the portion of the sum of the following amounts assigned to the income interest: the amount of the CRT’s undistributed net ordinary income and the amount of the CRT’s undistributed ordinary net capital gain. If such a CRT holds real property and the grantor’s charitable gift of a portion of the income interest results in distribution of a portion of the real property to the private foundation as remainder beneficiary, there could be joint ownership of real property between a disqualified person (the CRT) and a private foundation, an arrangement the IRS may view as an act of self-dealing. Ownership of the real property by a limited liability company (LLC) may address this issue, because (as a technical matter) the parties would end up owning units of an LLC rather than being joint owners of real property. As noted above, the tax economics of the charitable gift of an income interest to a private non-operating foundation may be sufficiently unappealing to deter early CRT terminations in any event. A community foundation, such as The New York Community Trust, is a public charity, so if the donor has reserved the power to select the charitable remainder beneficiary and chooses to exercise the power irrevocably in favor of a donor-advised fund or other type of fund at the Trust, this issue can be avoided altogether. If the remainder beneficiary of a CRT is a private foundation with respect to which the CRT’s income beneficiary is a disqualified person, cashing in the income interest would be treated as a sale by a disqualified person to a private foundation and therefore a taxable act of self-dealing. That issue would disappear if the remainder beneficiary were a public charity, so it would make sense for the remainder interest to be designated irrevocably for a fund at a community foundation such as The New York Community Trust. Additionally, cashing in the income interest in a CRT could be an act of self-dealing if early termination is not permitted under state law or if the income beneficiary receives an amount in excess of the fair market value of his or her interest. As a fiduciary matter and under the tax principles of private benefit, private inurement, and excess benefit transactions, a remainder beneficiary that is a public charity also must be confident it is not overpaying for the income interest when it consents to an early termination. Thus, it is critically important not only to make sure that an early termination is permitted under state trust law but also to document adequately that the life expectancy of the income beneficiary is not less than under IRS table rates. An example (though somewhat simplified from what one might see in reality) demonstrates both the issue and the effect of the IRS’s solution: Grantor funds a CRT with shares of stock having a basis of $1,000. Later, the CRT sells the stock for $10,000. The $9,000 in capital gain is exempt from tax, because of the CRT’s exemption from income tax. The CRT then purchases stock in a different company with the $10,000 in proceeds. That stock appreciates to $12,000, and then it is sold. The CRT’s $2,000 in capital gain is also exempt from tax. The CRT buys more stock with the $12,000 in proceeds and sells it later for $20,000, thereby generating another $8,000 in tax-exempt CRT income. All told, the CRT has earned undistributed net capital gains of $19,000 as a result of these transactions. Later, when the CRT’s assets have appreciated to $30,000, the grantor and the charitable remainder beneficiary sell their respective interests in the CRT to a third party, causing the CRT to terminate early. During this period, no distributions have been made to the grantor from the CRT. Assume, upon termination, that the grantor’s actuarial interest in the CRT is 60 percent, or $18,000, and that charity’s interest is 40 percent, or $12,000. Under the usual uniform basis rules applicable when the entire interest in a trust is disposed of, the grantor’s basis would be 60 percent of $20,000 (the CRT’s basis in the assets), or $12,000, so his gain would be $6,000 ($18,000 less $12,000). (Given that his original contribution was worth only $1,000 and may have had a lower basis even than that, and given that no taxes were paid along the way by the CRT or by the income beneficiary, he would benefit substantially if this result were allowed to stand.) However, under the Proposed Regulations, which have the force of law, the grantor is required to subtract his 60 percent share of the CRT’s undistributed net capital gains, or $11,400 ($19,000 x 0.60), from the $12,000 amount that would otherwise be his basis in his income interest. The resulting basis would be $600 ($12,000 less $11,400). In turn, the grantor’s gain upon sale of his income interest to a third party would be $19,400 ($20,000 less $600). An income beneficiary interested in cashing in his or her interest in a CRT should compare the differing tax effects of selling his or interest to the remainder beneficiary (the alternative immediately above) versus a simultaneous sale along with the remainder beneficiary to a third party. Each alternative, of course, requires the remainder beneficiary’s concurrence, and the remainder beneficiary may be supportive of a choice that aids the income beneficiary’s tax-planning objectives, so long as there is no downside for the remainder beneficiary. There are several ways to terminate a CRT early. For the donor who does not need the income, a contribution of his or her income interest to the charitable remainder beneficiary may be the best way to go. If the income interest has been held for more than a year, the gift of the income interest will give rise to a charitable deduction equal to the fair market value of the interest, provided the remainder beneficiary is a public charity or a private operating foundation. On the other hand, the deduction for a gift of the income interest to a remainder beneficiary that is a private non-operating foundation will be limited to the donor’s basis. The CRT income beneficiary who seeks to recognize the value of his or her interest could consider a full or partial early termination in which all or part of the income interest is (in effect) swapped for trust assets. That arrangement is treated as a sale to the remainder beneficiary of an asset having zero basis. Alternatively, the income beneficiary and remainder beneficiary could simultaneously sell their interests to an unrelated third party. The income beneficiary may be better served by the third-party sale, because it prevents his or her basis on the sale from being zero. Instead, the basis of the income beneficiary would be his or her proportionate share of the CRT’s basis in the assets held at the time of termination, reduced by his or her proportionate share of the CRT’s undistributed net capital gains. Code §170(f)(2): Gifts of split interests in property. Code §664: Charitable remainder trusts. Code §§ 1001(e)(1) and (3): Basis on sale of term interests in trusts. Code § 4941: Excise tax on acts of self-dealing. Treas. Reg. §1.6011-4: Transactions of interest. Prop. Treas. Reg. §1.1014-5(c), REG-154890-03, 79 Fed. Reg. 3142 (effective Jan 17, 2014). McAllister v. Comm’r, 157 F.2d 235 (2nd Cir. ), cert den. 330 U.S. 826 (1946) (treating term interest in a trust as a capital asset). IRS Notice 2008-99, 2008-47 I.R.B. 1194. PLRs 200152018 (transfer of income interest in exchange for charitable gift annuity issued by remainder beneficiary), 200127023 (sale of income interest), 200252092 (sale of income interest), 200314021 (sale of income interest), 200802032 (sale of income interest to settle litigation), 200833012 (sale of income interest), 200841041 (sale of income interest), 200912036 (sale of income interest). PLR 200408031 (division of NIMCRUT using rate stated in the governing instrument). New York City Bar Association, Committee on Estate and Gift Taxation, letter to IRS dated April 4, 2008, nycbar. org/pdf/report/Ltr_IRS.pdf. Written by John Sare, member of Patterson, Belknap, Webb & Tyler, and Jane L. Wilton, general counsel, The New York Community Trust. This material was developed for The New York Community Trust. We publish it with the understanding that neither the publisher nor the author is engaged in rendering legal, accounting, or other professional advice. If you require legal advice or other expert assistance, consult with a professional.